After reading Dreams Unleashed, I had to read the rest of the series. This trilogy kept me up too late at night when I should have been sleeping because I was dying to see what happened next. I particularly enjoyed the heroine. She is a strong woman, but also makes mistakes, is vulnerable and has the type of quirks that the women in my life have. I can usually guess the end of story early on, but not with this series. The end completely surprised me despite foreshadowing throughout the books. 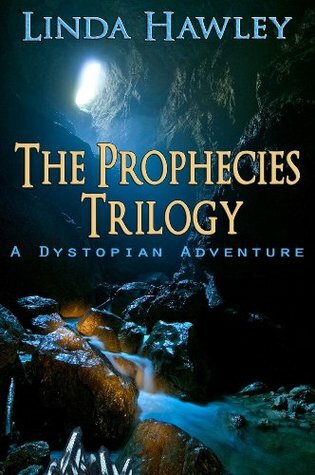 While this is a dystopian future series, it is hauntingly similar to our current day. This series is well worth your time to read. Linda Hawley - Linda Hawley is an adventurer in every way. She equally loves a good story, a vintage arcade, anything French, and art. Time travel, technology, and the possibilities of the future fascinate her. Her inspiration comes from any person she's ever met, any place she's traveled, and any experience she's enjoyed or survived.The author and U.S. veteran had a long career in the world of black programs. Following that career was another in technology, which spawned a great intellectual love affair that continues today.She is always searching for a good book to read and is intensely curious. Writing prolifically since she learned how, it has always been her go-to method of creative expression. Linda Hawley makes her home in the Pacific Northwest, where she and her husband imagine the future in vivid colors.